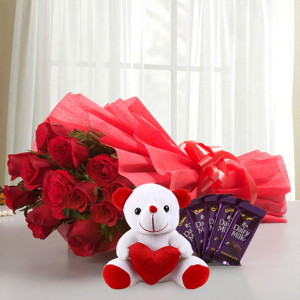 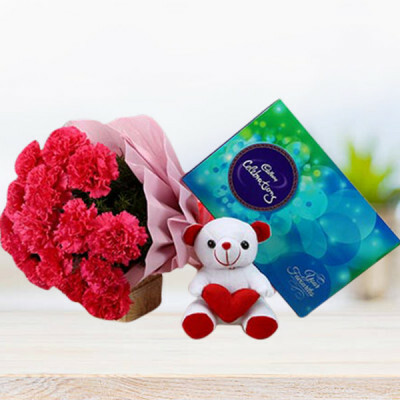 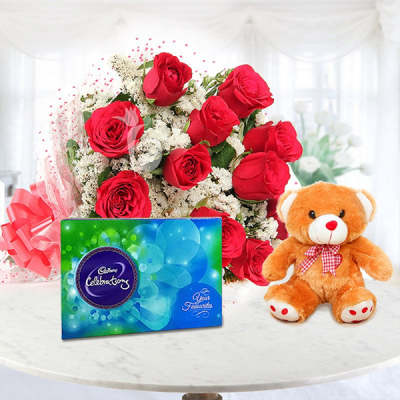 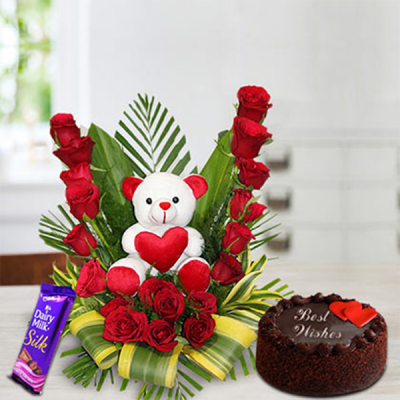 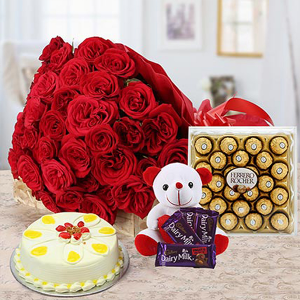 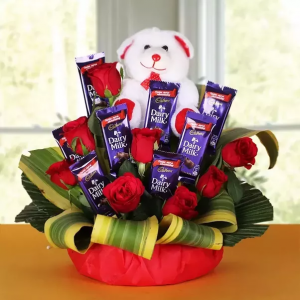 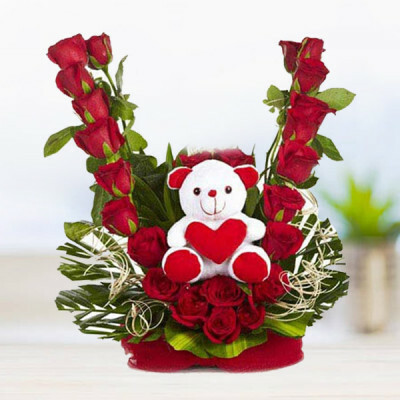 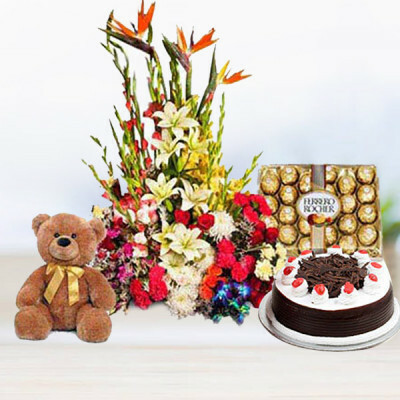 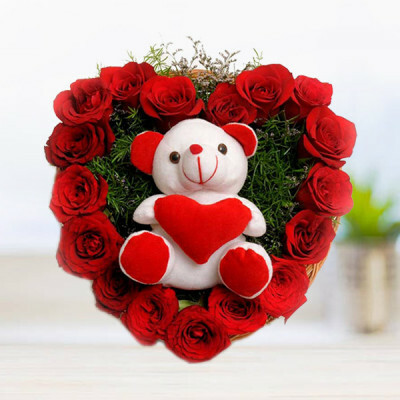 Order the Valentine's Day Flowers and Teddy Bears Combo from MyFlowerApp and express your love for your darling with this romantic and cuddly combination. Select their favorite roses, orchids, carnations, and more with a cute teddy and we will deliver throughout India. 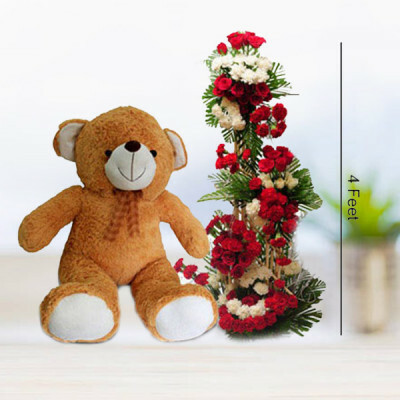 Teddy bears are our truest and most faithful friends. 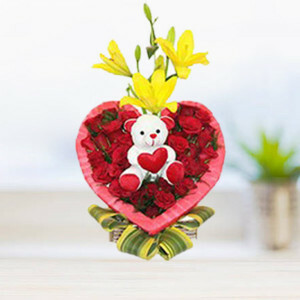 Take help from this friend of yours, and send a similar friend along with some gorgeous flowers to the love of your life. Express your affection to your significant other with MyFlowerApp’s elegant Valentine’s Day Flowers and Teddy Bears Combo. 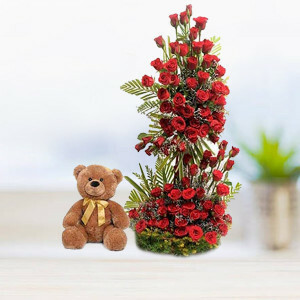 Send their favorite flowers along with a cute teddy with a cute message like, “You are my teddy bear, warm, sweet, and cuddly.” Wherever your partner may be, get this romantic combo delivered to their doorstep within 3 hours, with our express delivery service. 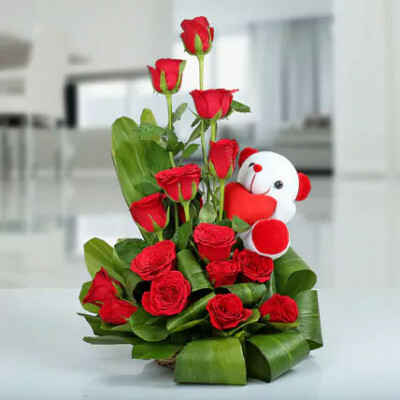 You can also opt for an early-morning delivery so that the fragrance of the flowers and your love stays with them throughout the day. 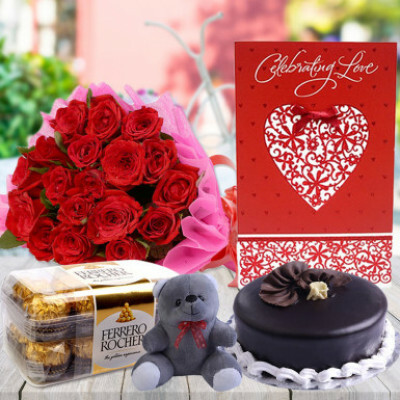 If you live together, you can make the surprise better by getting a midnight delivery and starting Valentine's Day 2019 with a bang. 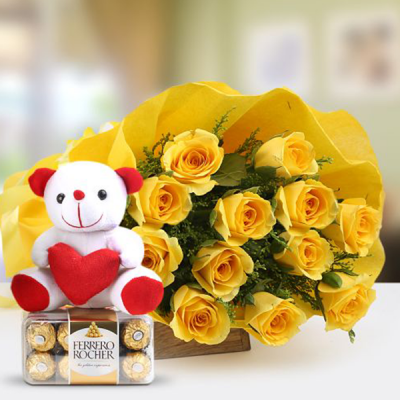 Whatever you decide, MyFlowerApp is here for you. Send only the best to the most important person in your life. 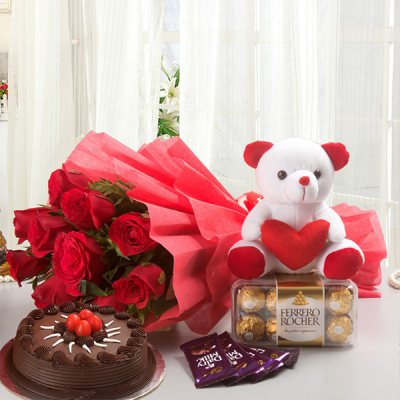 Bring some spice to your romantic life by sending amorous combos to your love, with MyFlowerApp. 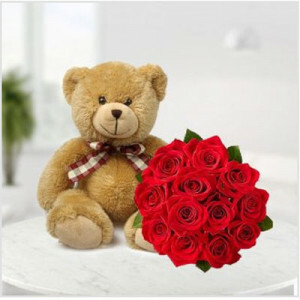 This year, instead of sending messages via your phone, send it with a Valentine’s Day Flowers and Teddy Bears Combo. 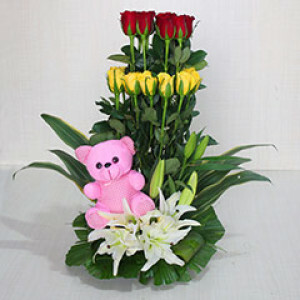 We can make this delivery possible, perfectly, anywhere in India, and even abroad. 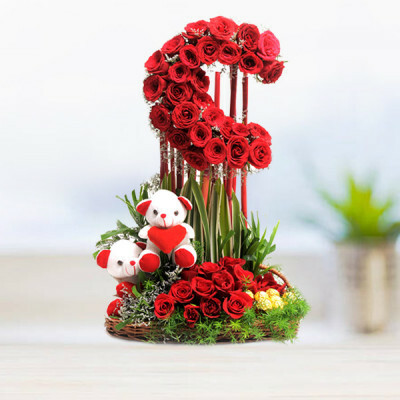 You can select their favorite flowers, get a floral arrangement in heart-shape or alphabet, or go for the standard red roses and send them along with a cuddly, fuzzy bear with a red heart, for your darling. You can include cakes, chocolates, and personalized gifts to the mix, if you want to. From major cities like Pune, Bangalore, Mumbai, Chennai, Kolkata, Hyderabad, and Gurgaon to almost anywhere in India, we will help you convey your emotions to sweetheart. 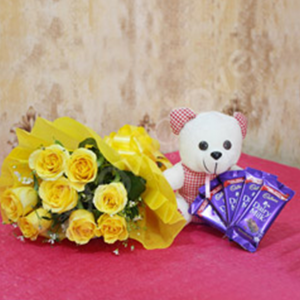 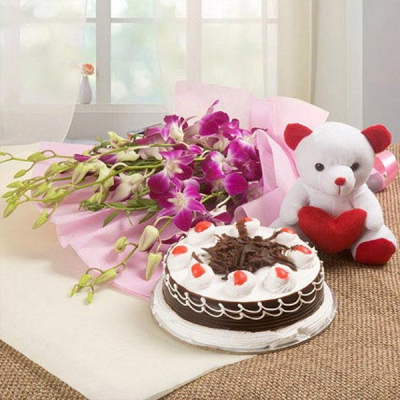 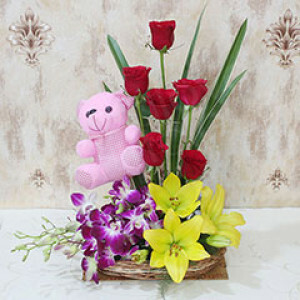 Simply select a cute Flowers and soft toy combo for your love, and we will do the rest. 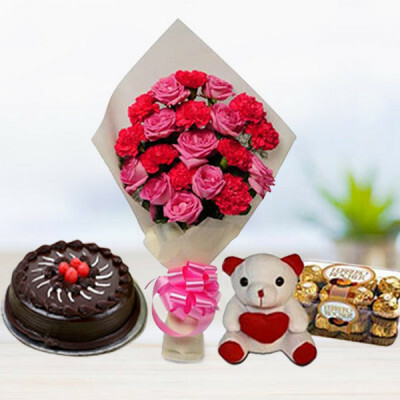 We ensure professional delivery and ascertain that all our packages are in pristine condition. 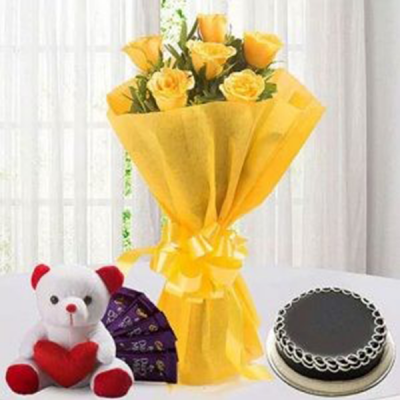 Order your favorite combo and send happiness and eternal love. 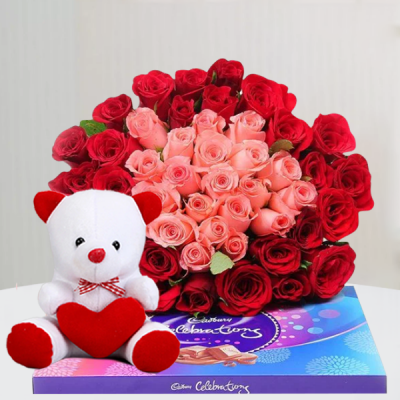 We also cater to many countries as well, including Sweden, Australia, United Kingdom, Canada, Singapore, Malaysia, Germany, France, South Africa, United Arab Emirates, United States, and more.